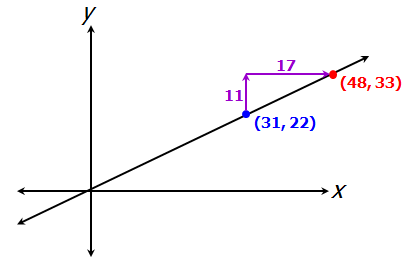 If line k passes through the points (48, 33) and (31, 22), what is the x-intercept of line k? 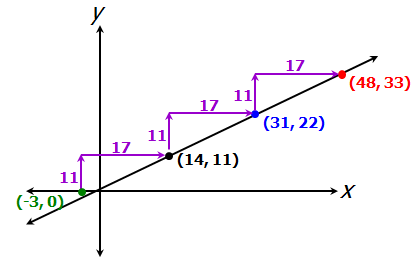 This line goes through 2 points A(x1,y1),B(x2,y2) which means if we input x1 in the above formula we will have y1. 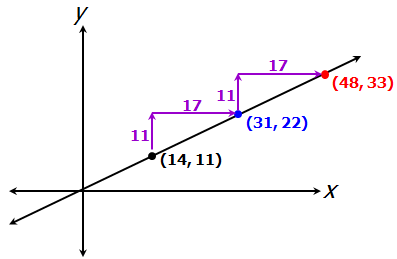 You can find the slope of the line k from the two given points.